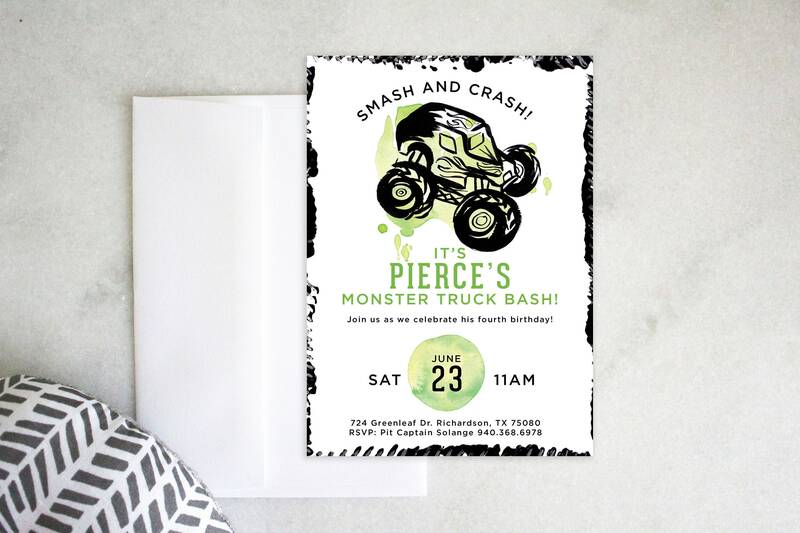 Did your little guy request a monster truck birthday party, and you're rolling your eyes while at the same time trying to carry out his dreams? Search no more! You can have a tasteful invitation that's rugged but not terrifying looking! #partytip: At the party, have the kids paint tracks using mini monster trucks dipped in paint!